First, I want to make sure and be clear that I DID NOT WRITE THIS ARTICLE. I am sharing it on my blog because it is so excellently written. Please read this mom’s original post on – www.dinnerforthought.com/blog/why-dont-you-vaccinate. It is never my intention to offend anyone, although I know I will. Everyone must choose what is best for their family, and that decision, whether it’s to fully vaccinate, partially vaccinate, or forgo vaccinations all together, should be respected.I share this information to encourage research and critical thinking on this important issue, and most importantly emphasize how unconstitutional it is for the right for parent’s to choose to vaccinate their children or not, to be taken away as it has in SB 277. I’ve been asked this many times. It’s an understandable question, coming from those who are shocked to learn that people even consider bucking the medical system and their infamous childhood vaccine schedule. To some, I may seem like some sort of modern day renegade; some kind of rogue in a vast wilderness of pharmaceutical influence. I suppose I am different, although I don’t feel that way most of the time. What may set me(and millions of others) apart is how I reached this decision. There is not one sole reason that I’ve stopped vaccinating my kids; there are many reasons. I’ve been researching this topic in depth for quite a while now(spurred on by an adverse reaction my second child had to her twelve month round of shots), and I’ve come to the eye opening realization that the rabbit hole is much deeper than most people realize. I have many reasons for not trusting common vaccine science, but there are ten reasons that I feel compelled to specifically address whenever the topic comes up. This means that they cannot be held responsible for vaccines that cause damage to the recipient, or if a fully vaccinated person still gets a disease they thought they were protected from. If your child’s car seat failed, you’d own a lawsuit and get thoroughly compensated. Not so with vaccines. 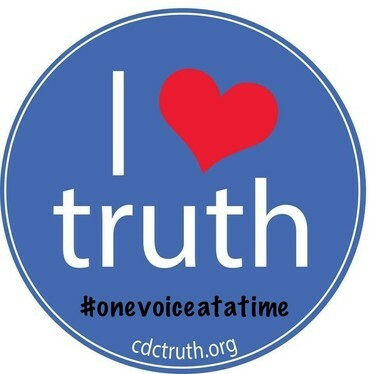 In the case of vaccine manufacturers, who make billions annually from vaccines, and the CDC/WHO, who make an astronomical amount themselves for researching and supporting them, it really turns me off. I would think that most people, without much effort or research, could see that there’s a big time conflict of interest that lies beneath the surface of today’s medical system. The government(CDC), with shoddy research, bias, sugar coated statistics, and all out lies, backs the pharmaceutical companies, who in turn reward them for it. Doctors get their running orders from the government, who of course recommends a ridiculous childhood vaccine schedule, despite the lack of disease outbreaks to begin justifying it, and despite a severe drought of legitimate safety and efficacy studies. Doctors are given a pharma-sponsored education on vaccines; in other words a heavily biased one with little to no education on the risks and dangers. Doctors are also heavily pushed and incentivized to administer vaccines on schedule. Many are so cognitively dissonant by the time they have their own practice that it’s nearly impossible to convince them that what they’re participating in is so dangerous. The fourth aspect of this vaccine paradigm we find ourselves in is the media. They are paid boku bucks to advertise vaccines in accordance to pharma regulations and health department/CDC specifications. All you’ve ever seen on vaccines in the media has been paid for by an entity with a clear agenda. Please research this in depth before blatantly labeling me a conspiracy theorist or something equally as silly. 8. The vaccines aren’t as effective as you’re led to believe. Some, like the pertussis, influenza, mumps, and meningitis vaccines, are easy to observe with the failing rates, by simply looking at a large percentage of vaccinated people that still contract these diseases. Even the CDC hesitantly admits some of them aren’t as effective as advertised. Others are a little more difficult to observe, because disease outbreaks in the US have become so rare. In the case of polio, measles, diphtheria, and tetanus, we can see clearly that cases were already declining before vaccine introduction, so it’s almost impossible to prove that the vaccines are what saved us from outbreaks. While I do believe that vaccines can work to a certain degree in generating an antibody response to a targeted disease(for some people), therefor rendering reactive vaccinees “immune”, it isn’t accurate to say that vaccines save us from disease. Vaccines only target one part of the immune system(antibody stimulation), and bypass two other very important aspects of it. In peer reviewed literature, we see many cases of outbreaks in fully vaccinated communities, and people who were fully vaccinated still contracting a disease when exposed. We also know that not everyone even has an immune reaction to vaccines. It is estimated that around 50% of the population is not immune to many of the “vaccine preventable” illnesses. You can easily access the studies I’m referencing in PubMed. Dr. Tetyana Obukhanych, PhD in immunology, has some really great information on this topic if you’re interested in learning more about this aspect. 7. I don’t believe that vaccines eliminated diseases. At least, not in the manner that we’re force-fed. It becomes quite clear from studying historical graphs of disease morbidity and mortality rates, that most of the diseases we vaccinate for today were already on a steep decline before their respective vaccines were widely introduced. While this may go against everything you’ve ever been taught to think, I’d ask you to look into this further before laughing it off. As it turns out, hygiene/sanitation has played the biggest role in reducing disease than any other factor. Again, I do believe vaccines have helped curb outbreaks in some ways, but I do not give them near the full credit as many people do without even studying the facts. 6. We’ve traded disease epidemics and natural immunity for neurological and auto-immune epidemics and artificial, temporary immunity. Kids aren’t dying from diseases; now they’re dying from SIDS, cancer, severe seizures, and other unknown causes – at a higher rate than ever before. Many make the argument that correlation doesn’t equal causation. This is sort of a hypocritical argument, since many also give vaccines the credit for disease elimination, without sufficient proof that it was in fact vaccines that played a critical role. While I acknowledge that vaccines aren’t the sole cause of autism, asthma, auto-immune issues, and gut complications, I’m also not stupid; neither are the hundreds of thousands of other people who watched their normal, healthy child go into a well visit and come out differently. Vaccines do cause a myriad of health issues; you cannot dispute this if you’ve really researched the topic. Well, let me take that back. It does exist, when a certain percentage of the population is naturally immune; meaning a certain percentage has contracted the illness naturally, defeated it, and is now immune for life. The term “herd immunity” was coined in 1933, well before a vast majority of today’s vaccines were invented. It was scientifically observed that if over 68% of a community population was naturally immune to the measles, the outbreaks ceased and the remainder of the population was protected. Back in these days, disease immunity still worked like it had since the beginning of time. Herd immunity as we know it now(that a very high percentage of populace must be vaccinated, to protect those who can’t receive vaccines) doesn’t exist, because we already know that the majority of the population does not have the desired immune response to vaccines. Even if they do, the immunity is only temporary, and wanes at various paces depending on the individual. It is now widely believed, and admitted by the CDC, that at best, one can only retain vaccine immunity for up to ten years. When mass vaccination campaigns first began, it was widely touted that one shot would grant you immunity for life. That has long ago been thoroughly dis-proven, which is why there’s now a sudden rush to get adults up to date on their boosters. Of course, what good are boosters if half of those adults never responded to their first round? The real question is, why are we not continuing to see disease outbreaks despite a population that is largely “unprotected”? Not just because they sound scary(Mercury, aluminum, formaldehyde, MSG, antifreeze, the foreign DNA mentioned earlier, and the viruses/bacteria themselves), but in researching them, you find that many of the common, necessary ingredients are labeled as toxic, carcinogenic, mutagenic, or unavoidably dangerous in other venues. It also astounds me how many people don’t understand the difference between injection and ingestion. We are injecting these ingredients(at a much higher rate than ever before) into our babies, and not only bypassing their natural digestive systems, but assaulting their undeveloped kidneys, which of course is basically the body’s toxin filter. While a common argument is that these ingredients are only given in “trace” amounts, the truth is drastically different. For example, mercury(which is still used as a preservative for your annual multi-dose flu shot) in trace amounts had been scientifically demonstrated to destroy brain cells. Aluminum is one of the most common metals on earth, but we know it can be quite harmful if ingested in large quantities. Now consider that the hep B vaccine, administered on the first day of life, contains the FDA’s daily limit for a healthy adult(250mcg). Most other vaccines using aluminum as an adjuvant contain even more than that, including the DTaP, which is given at 2, 4, and 6 months. Many peer reviewed studies conclude that aluminum can potentially interfere with brain neurons. What are we doing to our infants? Formaldehyde is used not only for embalming dead bodies, but also to kill the viruses or bacteria in inactivated vaccines. It has been labeled a carcinogen in other areas, yet we’re injecting it into our bodies. Sure, a pear might contain the same amount of formaldehyde as a single vaccine, but when’s the last time you injected a pear, or even fed one to your 2 month old? The bottom line is, it hasn’t been tested for safety in infants. Go ahead, check. Even the package inserts themselves state explicitly that vaccines have not been tested for carcinogenic or mutagenic effects. Have you noticed the epidemic of childhood cancer that is happening today? No, they don’t know what’s causing it. I’ve decided that I don’t like the thought of my children getting injected with pig, cow, monkey, mouse, rabbit, and dog DNA; I don’t care if it’s widely deemed “safe”. While there is no fetal tissue in vaccines(a common misconception), there are unavoidable traces of fetal cells/foreign human DNA in many of them. There are no safety studies that prove this isn’t dangerous or doesn’t cause adverse effects. There are studies, however, that do find a strong correlative link to the case spikes in autism and the introduction of vaccines containing human fetal cells. I also have a big problem with abortion, and cannot support a medical practice that benefits from it. No matter your views on abortion, you have to admit that there’s a flaw with this practice. We know nothing about the effects of foreign DNA in the bloodstream. It’s not up to the government, the pharmaceutical giants, the health department, my doctor, or you to decide for me how to raise my kids. I’m not neglecting or abusing my kids by not having them vaccinated, despite a new push to paint this image into the minds of the public. I’ve already told you nine other reasons why I chose to stop vaccinating my children. I could have just said it’s none of your business, and gone about my day. I could have laughed and called you a mindless drone who only believes what their TV screen tells them. I could have called you close-minded when you rolled your eyes at various points throughout this list. You need to know why I don’t vaccinate. You need to hear that many parents have lost their dearly beloved children to “unknown” causes, days or even hours after routine vaccinations. You need informed consent, because the truth is, you’re not getting it from your pediatrician like you should be. Someone has to tell you this before universal vaccines are mandated, and it’s not your choice anymore.